Celestion Vintage 30 Take Out– $125. Celestion K100 8 ohm or 16 ohm in stock– $125. Faital 12″ Genz Benz 12PR300s – $119. Avatar U.S. Alnico 12″ A25s – $179. 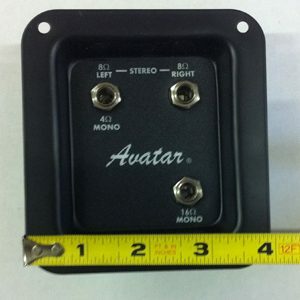 Avatar U.S. Alnico 12″ A50s – $179. 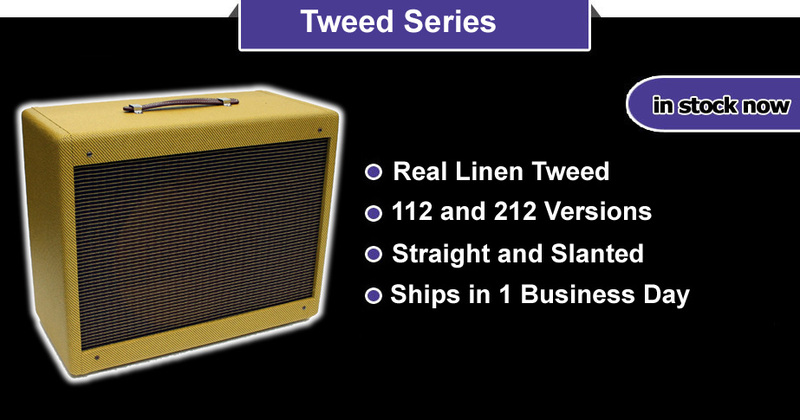 G112 Traditional Celestion loaded 112 guitar cabinet – $369. G212 Vintage Special Celestion loaded guitar cabinet– $488. G212 Contemporary Special Celestion loaded guitar cabinet– $488. B410 bass cabs. Black carpet. Custom Eminence Deltalite Neos – $539. Avatar U.S. 12″ 25w 50 oz Ceramics (greenback tone) – $99. Avatar U.S. 12″ 50w 50 oz Ceramics (greenback tone) – $99. Celestion UK G12-35 XC $119. Celestion NEO Century Vintage $109. Since 1992 Avatar® Speakers has been known for building and selling great sounding, high value, guitar and bass guitar speaker cabinets. All of our cabinets are made to order in our own shop and are loaded with the best speakers in the world from manufacturers such as Celestion, Fane, Eminence and Hellatone. Typical cabinet lead time is 1-2 days to ship. 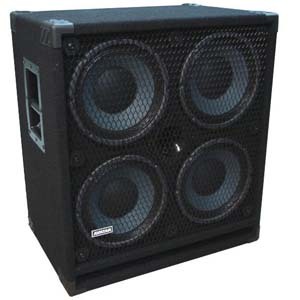 We have the best prices in the U.S. on replacement speakers for your existing speaker cabinets.